A microsupercapacitor that may find its way into personal and even wearable electronics is getting an upgrade. Adding boron greatly benefits the laser-induced graphene device. The Rice University lab of chemist James Tour uses commercial lasers to create thin, flexible supercapacitors by burning patterns into common polymers. The laser burns away everything but the carbon to a depth of 20 microns on the top layer, which becomes a foam-like matrix of interconnected graphene flakes. The simple manufacturing process may also be suitable for making catalysts, field emission transistors, and components for solar cells and lithium-ion batteries, they say. The research appears in the journal ACS Nano. Capacitors charge quickly and release their energy in a burst when needed, as in a camera flash. Supercapacitors add the high-energy capacity of batteries to the package and have potential for electric vehicles and other heavy-duty applications. The potential to shrink them into a small, flexible, easily produced package could make them suitable for many more applications, according to the researchers. In the earlier work, the team led by graduate student Zhiwei Peng tried many polymers and discovered a commercial polyimide was the best for the process. For the new work, the lab dissolved boric acid into polyamic acid and condensed it into a boron-infused polyimide sheet, which they then exposed to the laser. The two-step process produces microsupercapacitors with four times the ability to store an electrical charge and 5 to 10 times the energy density of the earlier, boron-free version. The new devices proved highly stable over 12,000 charge-discharge cycles, retaining 90 percent of their capacitance. In stress tests, they handled 8,000 bending cycles with no loss of performance, the researchers report. Tour says the technique lends itself to industrial-scale, roll-to-roll production of microsupercapacitors. 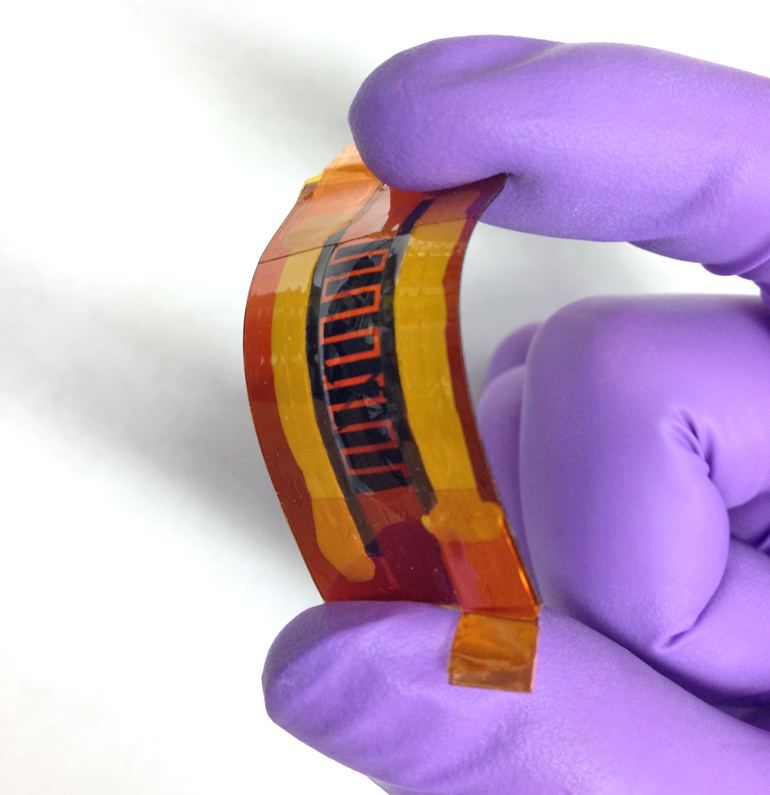 “What we’ve done shows that huge modulations and enhancements can be made by adding other elements and performing other chemistries within the polymer film prior to exposure to the laser,” he says. Coauthors of the paper are from Rice, Exxon Chemical, University of Missouri, and the Second Baptist School in Houston. Tour is the chair in chemistry as well as a professor of materials science and nanoengineering and of computer science and a member of Rice’s Richard E. Smalley Institute for Nanoscale Science and Technology.